There’s a trail for everyone. 1. Learn Salesforce with Trailhead. 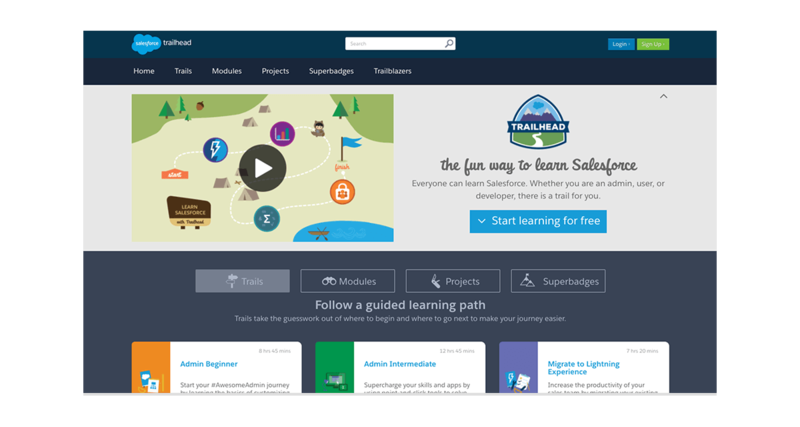 Trailhead is a fun, interactive way to help your team master Salesforce. And it’s free. 2. There’s a trail for everyone. 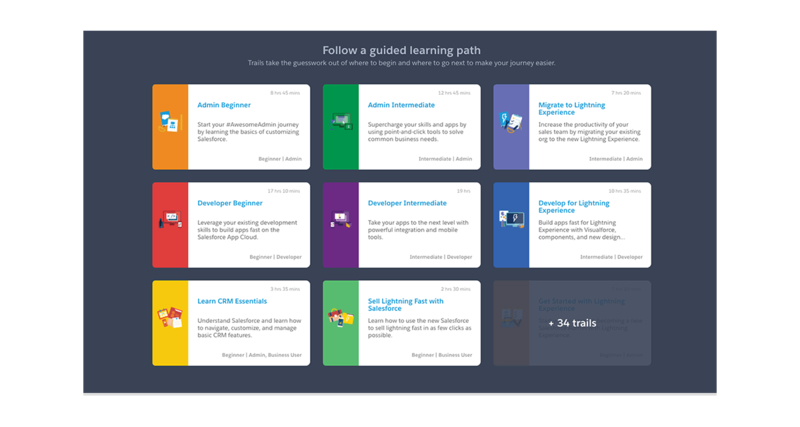 With guided learning paths for admins, users, and developers, Trailhead has training for every role. 3. Learn the way you want. Explore guided learning paths and quick tutorials. Trailhead also lets you tackle projects and earn badges to show off your skills. 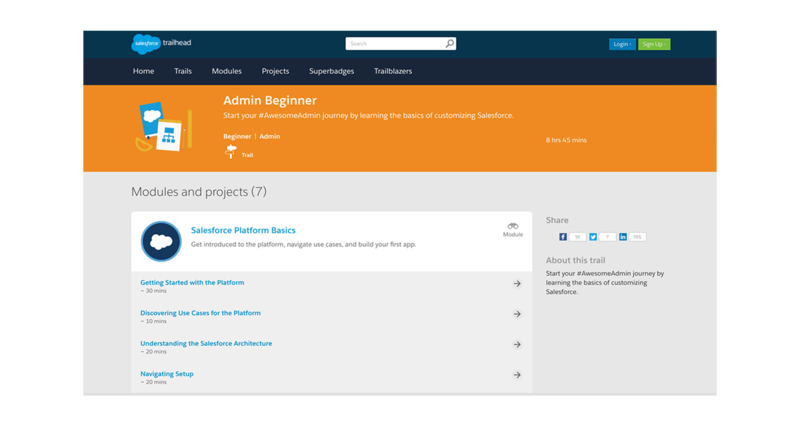 Want to discover more self-guided, online resources available to help you get started with Salesforce?